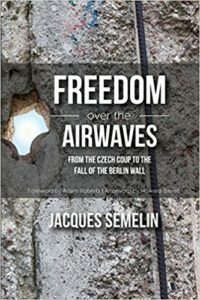 This book on the relationship between communications and nonviolent resistance captures a new understanding of the events that led ultimately to the fall of the authoritarian system in communist Central and Eastern Europe in 1989. In particular, it analyzes history-making acts of resistance and the movements that propelled them in Budapest in 1956, Prague in 1968, Gdansk in 1980 and East Berlin in 1989, in their own historical continuum. In a new Afterword penned for the English translation, Howard Barrell extends this evaluation to encompass the role of social media and digital technology in more recent and potential resistance struggles. This preeminent study offers a rare addition to understanding the transformation of half a continent.